Many people suspect they have psychic abilities, but they are unsure what to do with them or how to use them. Parapsychologist Loyd Auerbach suggests most people have some type of latent psi (psychic) abilities. Learning to access and use psychic abilities is an important part of psychic development. Intuition is the natural conduit to awakening psychic abilities that lay dormant in everyone. One of the first things to do is begin lowering your own mental barriers when you get a feeling or when, seemingly out of nowhere, an image of a person or event comes to mind. You must be able to recognize, record, release, and receive. These are the four "R's" of psychic growth. Some people have their first psychic experiences at a very young age. Unfortunately, societal conditioning may cause children who've had psychic experiences to doubt themselves or fear their abilities. Spiritual teacher and medical intuitive Dr. Kevin Emery had his first psychic experience at the age of four. He was fortunate enough to have a supportive adult who helped him to frame his experiences. "I asked my grandmother if we could play a game. I proceeded to tell her the name of her best childhood friend, how she wore her hair as a child, and then I sang the song they used to sing when they played together," he says. "My Grammie sat me down and told me I had a gift from God, and that people would tell me it was wrong or bad or that they didn't believe me, but as long as I remembered it was a gift from God, everything would be okay. To make sure I did not forget what she had told me, she gave me two chocolate doughnuts and my own bowl of sugar!" Go back and remember moments in your life where you seemed to know, feel, or clearly predict something that was about to happen. Remember whether you ever saw something out of the corner of your eye, a shape or a figure, or whether you received an emotional impression that there was someone with you in a room when no one was physically near. Have you ever held an object that belonged to someone else and received a picture in your mind from that object? Perhaps you receive an emotion strong enough to surprise you? Pay attention to these things. These moments are the actual beginnings of your own psychic abilities. Recall and remember them in as much detail as you can. In as much detail as possible, record the incidences you've noted above. Record them as factually as you can; do not try to embellish them. Note such details as your own emotional state at the time, the time of day or night when you received these impressions, the weather, and the place. Note if these impressions were corroborated by actual evidence. Did something happen to the people you thought about? If you saw an entity, does historical research match your description of the spirit and the emotional impressions or message you received? In short, did what you see, think or feel happen in reality, and when did it happen? 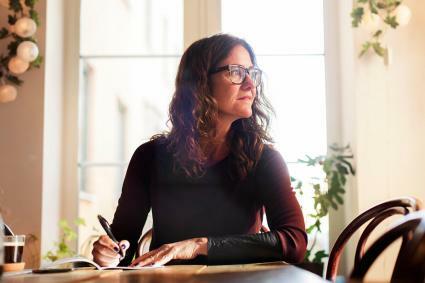 When things happened to you, writing your experiences can be helpful in discerning patterns in the environment and your own emotional and physical state. Moving forward, record every psychic experience that happens to you. The old adage of "what is past is past" needs to come into action. Release any buried guilt you have for having psychic abilities and perhaps not acting on them. Release guilt for incidents such as not telling someone what was about to happen and preventing something bad from happening. You are only human, so you can and should forgive your own doubts and any fears that held you back. Forgive yourself for your non-belief and any actions or lack of action. Release this energy back into the Universe. If you even remotely believe you are what you think, you know these thoughts and feelings are preventing you from awakening your psychic abilities. Practice releasing emotional involvement because it is one thing that will afford you protection and peace of mind as you open yourself to receive psychic impressions and work on behalf of others. 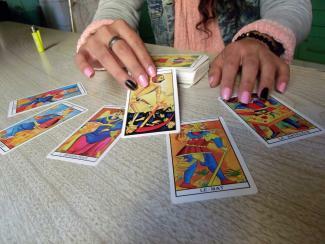 Psychics receive information differently. For example, some may hear things (clairaudience), some may see things (clairvoyance), some may get what seems like downloads of information or sudden knowing (clairsentience), or some may feel the emotions of others (clairempathy). It's important to discover how you channel psychic information because it may be very different from how someone else does. Pay attention when you receive impressions how you experience them and note those things. Then watch for them in the future, but always be open to the idea you may also discover new ways you receive your information over time. According to Dr. Emery, one of the best and safest ways to explore your own awakening abilities is by interning with an established metaphysician. "Intern with someone who has a philosophy that resonates with your own and is willing to take you into the field to release spirits with them," he shares. "Learning something in the classroom or by reading a book is one thing and doing it when the ability of a person's soul to move forward or stay stuck is at risk is quite another. For that, you need hands-on experience. And not from a ghost hunter, but from a ghost healer (someone who helps trapped spirits move on)." There are many ways to engage burgeoning psychic abilities. Some psychics use their gifts to communicate with people who have died. This form of psi work is called mediumship. While it may seem intriguing to talk with people who have passed, Dr. Emery suggests you approach spirit communication with caution. "There are many things that exist under the heading of the spirit world, but the one thing I always tell people who want me to do mediumship is to remember that just because someone is on the other side does not mean that they are ascended, wise, have all the right answers, or are necessarily someone to listen to if they try to tell you how to run your life," he says. "The only thing we know for sure is that they are dead." 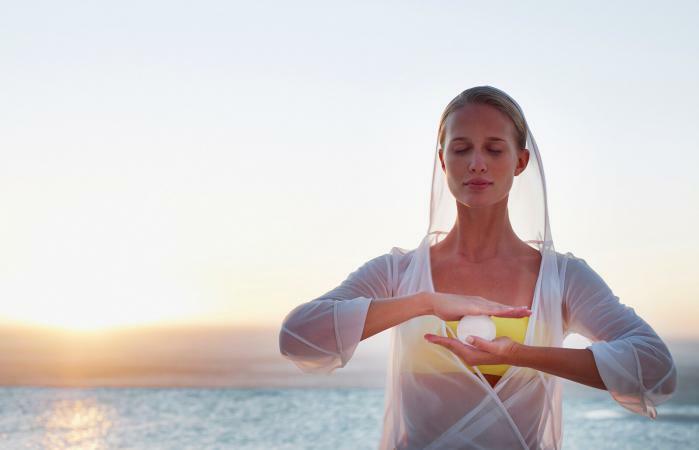 Other ways to jump start your psychic abilities include the following tips. De-clutter an area where you can retreat and establish a practice. 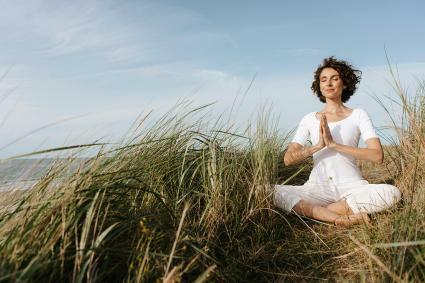 Try things such as mindful meditation, yoga, deep breathing exercises, or any other activity that helps you focus and release ego-driven thoughts. Find the one that works for you that you look forward to engaging in daily. Try mindful meditation. It focuses your concentration on one person and or event. Meditate in blocks of five minutes, building up to 15 minutes three times a day. If your mind should wander, gently turn it back to the person you are concentrating on. Record any impressions you may receive during meditation or other practices in which you engage. Always perform a prayer of protection before and after you finish mindful meditation or engage in psychic work. You are opening yourself as a conduit and in doing so must protect yourself, your space, and your family against psychic bombardment. Your first impressions may seem especially disjointed, and you may encounter negative energy as well as negative events as you continue to develop your abilities. Tape a small crystal, such as pure rose quartz, to your forehead, over your third eye region as you concentrate. Clear the crystal after every session to clean it and help it remain in tune. Learn about chakras and how to balance yours with gentle exercise and deep breathing. Do these exercises before and after attempting psychic contact. Read and search constantly and choose wise guides and teachers. Be smart about recognizing good teachers from the many charlatans out in the world. Unless the psychic impressions you receive are overwhelming and compelling, do not share your beginning impressions and insights with anyone. Be patient. Build your confidence in your skills before you exercise any that you may already have. While you are learning, do not solicit funds from friends and relatives, or for that matter anyone in serious need, who comes to you for help. With the exception of covering expenses, such as travel to a place you would not normally go, you are an instrument and must respect that. Payment for using your gifts will come when you're working as a professional psychic, teaching, counseling, writing, and otherwise helping others on their journey. As you become familiar with psychic energy and how yours comes to you, begin to experiment with techniques you may find interesting, such as using tarot cards to focus you or practicing geomancy or with runes. If you feel drawn to any tool, give it a try. If it works for you, it may become another tool in your arsenal. If it doesn't, then you tried something interesting and can move on. Psychic abilities are a gift. Receive them with gratitude and humility, knowing psi comes through you and not from you. As a psychic, you are a conduit to messages from spirit. There is no place for ego or arrogance. Ego is that part of self that provides your self-image and identification, and it comes from the mind. It is only when you can step outside of ego that psychic messages can come through.